UFO SIGHTINGS DAILY: Life Discovered On Mars By NASA Opportunity Rover, NASA Calls It Rabbit, 2015, UFO Sighting News. 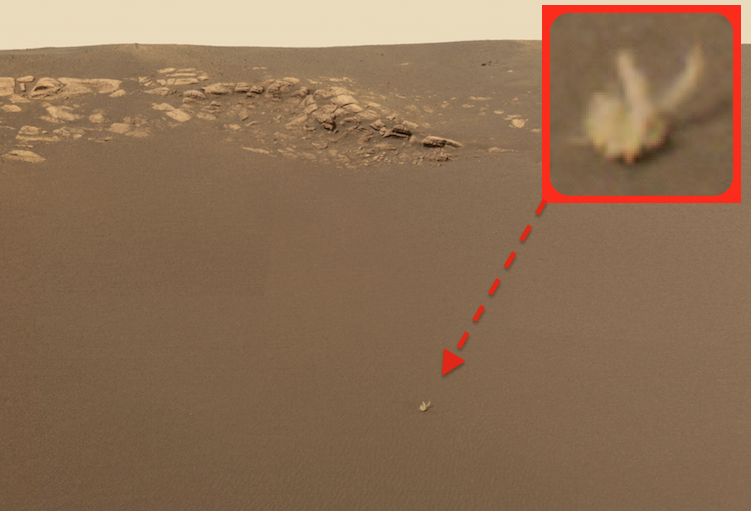 Life Discovered On Mars By NASA Opportunity Rover, NASA Calls It Rabbit, 2015, UFO Sighting News. The Mars rabbit. Even NASA themselves have notices it and could not come to any definite conclusion about it. NASA took several shots of the animal and put them together to make a gif. A gif is when you have many photos together to make a movie. When they put them together, NASA saw the ears moving. Later it disappeared from all other photos. Either because they cut it out at the NASA Johnson Space Center photo Shop, or because it walked away. 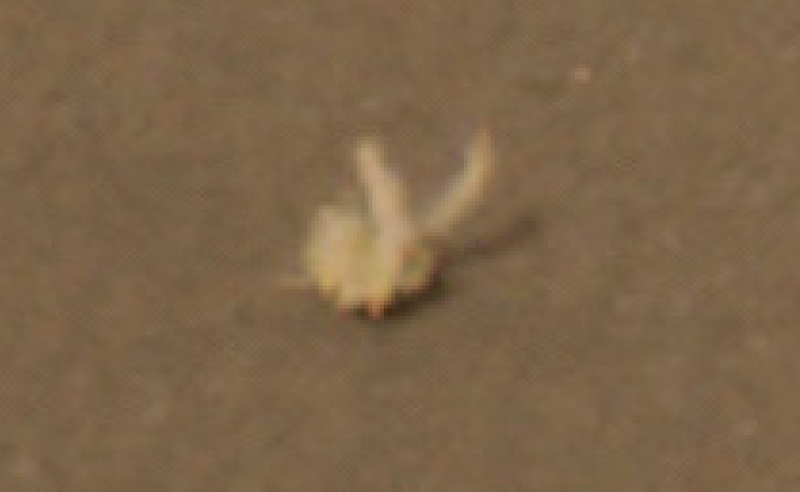 We can clearly see on its right side it has three tiny legs, maybe a fourth hidden in back. That means it has 6 or eight legs. Cool huh? Look at the close up and you will see its feet are pink. Animals with white fur often have lighter skin. Like a rabbit in a hat, the identity of an oddity that looks like "bunny ears" in a picture from Mars has eluded the science and engineering teams. 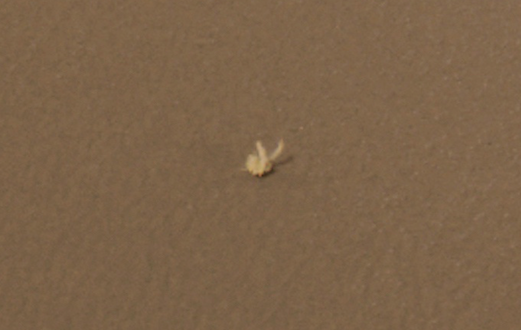 The public, also fascinated with the mysterious object, has asked in a slew of e-mails: What is it?It is a yellowish object measuring about 4 to 5 centimeters (about 2 inches) long that made its debut when Opportunity's eyes welcomed Earth to a new neighborhood on Mars in her mission success panoramic image. Meridiani Planum is a landscape unlike any other stop on our decades-long tour of the red planet. Still, it wasn't the conspicuous bedrock outcropping near the horizon that initially fascinated many people. It was the "bunny ears."